Samyang has announced that they plan to announce 8 new lenses this spring. Samyang will make announcements at multiple trade shows between now and the Q2 of 2019. Expect to see some lenses announces at CP+ at the end of this month and The Photography Show in Birmingham, England in mid-March. The first lens to be announced will likely be the Samyang XP 10mm f/3.5 prime lens. 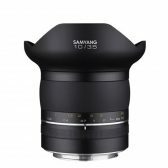 Samyang claims this new lens is a zero distortion rectilinear lens for high-resolution full-frame DSLRs. 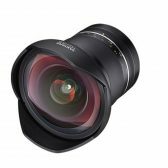 Hopefully, Samyang will skip the development of their XP lenses for EF AF and go straight to EOS-R with AF. That should give them a head start in the market against other non-OEM brands. More competition in the lens space is always a good thing! Might not even be for Canon mounts. Still, they could be the 1st 3rd party to decode and release RF glass or more likely, they are hitting focal lengths with apertures not on the current market for EF. (2) and (6) = Canon RF and Nikon Z versions of Samyang AF 14mm f/2.8 EF/F/FE. Not necessarily AF though. (3) and (7) = Canon RF and Nikon Z versions of Samyang AF 35mm f/1.4 FE. Not necessarily AF though. (8) = some new lens in Sony E mount. What? No 8mm FF rectilinear? Can’t say I’m looking forward to inferior reverse engineered third party autofocus lenses. This is one area Sony have the advantage as they share their autofoucus technology with other lens companies. This could very well be a huge advantage for Sony in the long run.